My life as a somewhat rogue academic and obsessed fly fisher is hard to describe. In fact, some of it really can’t be described, as my academic work involves protected cultural knowledge. This picture, however, sort of sums it all up. It was taken in my favorite Canadian motel room, a few days ago. This entry was posted on June 9, 2012 at 5:35 PM and is filed under Uncategorized. You can follow any responses to this entry through the RSS 2.0 feed. You can leave a response, or trackback from your own site. Great photo. When I was a child,many years ago,I always asked my father for money when he arrived home from working in the steel mill. He would reach deep into his navy blue chinos,pulling out all the contents from his pocket. Old ever present things,a silver cross,bone handle Case pocket knife worn smooth by tumbling among the other contents ,many coins, when they would buy much in the way of childhood items. 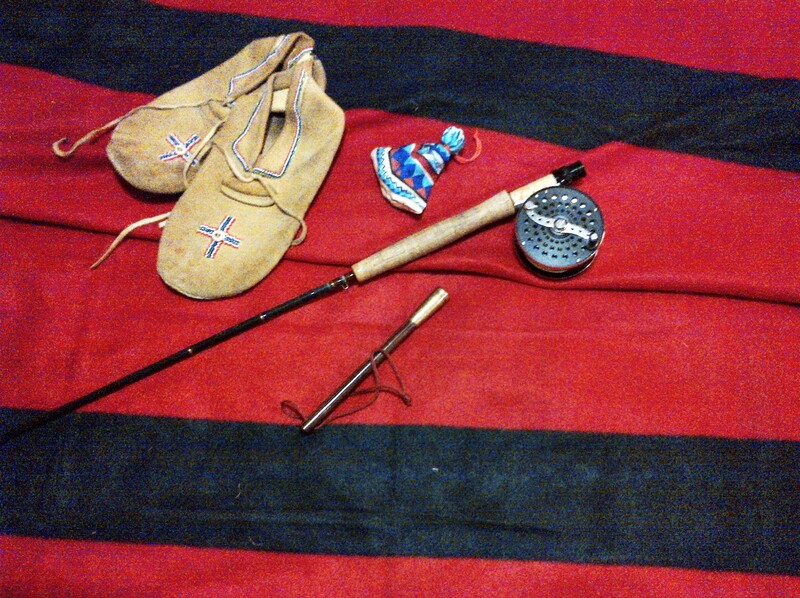 All these things in and array of other items my Dad came across in his day. That collection would be items such as nuts/bolts,lucky stones,or what every others let fall out of there life,Dad must of thought was of future value. I wish I had a photo of my Dad’s hand opening up with all those treasures to my anxious eyes. Thanks, Chuck. I promise many great photos in the next couple of weeks. There is something about the things we collect, even informally, that tell so much about us. I remember my father’s pockets holding almost magical things too — pocket knives, pipe tampers, and so on.